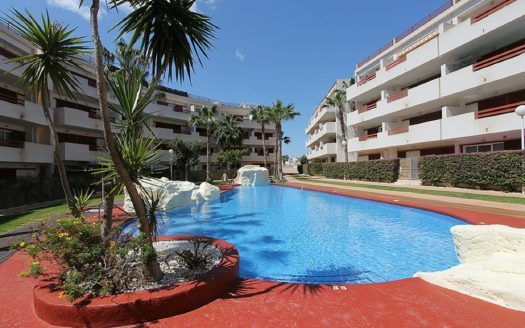 Luxury 2 bedroom apartment in Amay Quinto, one of the top locations in Punta Prima on the Orihuela Costa. This super upstairs apartment has a build of 75 m2 with a huge 57 m2 roof solarium. Built in 2015, this apartment comes with a modern style both inside and out. The roof terrace offers unbeatable views of the Mediterranean Sea and surrounding areas. 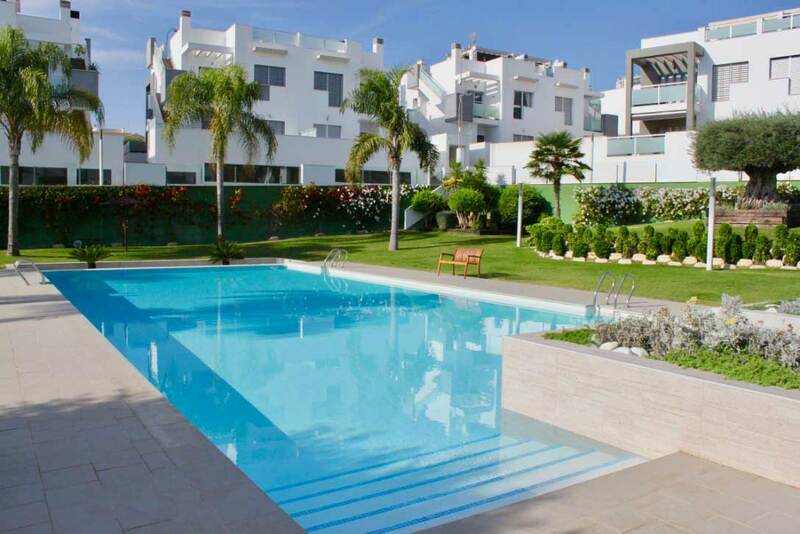 There are stunning views of the green areas and beautiful communal pool down below. 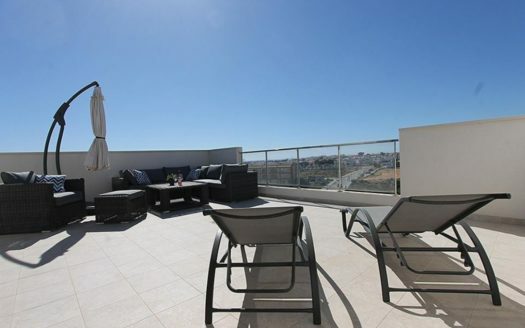 This apartment consists of 2 spacious bedrooms and 2 bathrooms, one of which is en-suite. We also have an open plan living area with equipped kitchen. 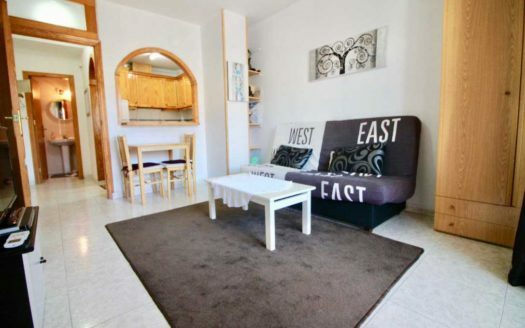 This apartment has a spacious layout with good storage facilities. The bathrooms come with underground heating for your comfort during the colder months. The roof terrace can also function as an outdoor kitchen. There is an installed sink with access to water.. Storage room with lockable doors. Both terraces come with a pergola to shade you from the hot sun. The apartment is in such a location where there is no view inside from down below. The complex comes with two large pools, one of which is a heated pool. There is a super playground for the little ones and large green areas with real grass. Private parking is available under the building to secure your car. This apartment comes with central air conditioning with both cooling and heating functions. Fibre optic internet is already a feature of this apartment. Amay Quinto is one of the most sought after locations in Punta Prima. Here you can have a perfect holiday home with great rental potential if you choose. 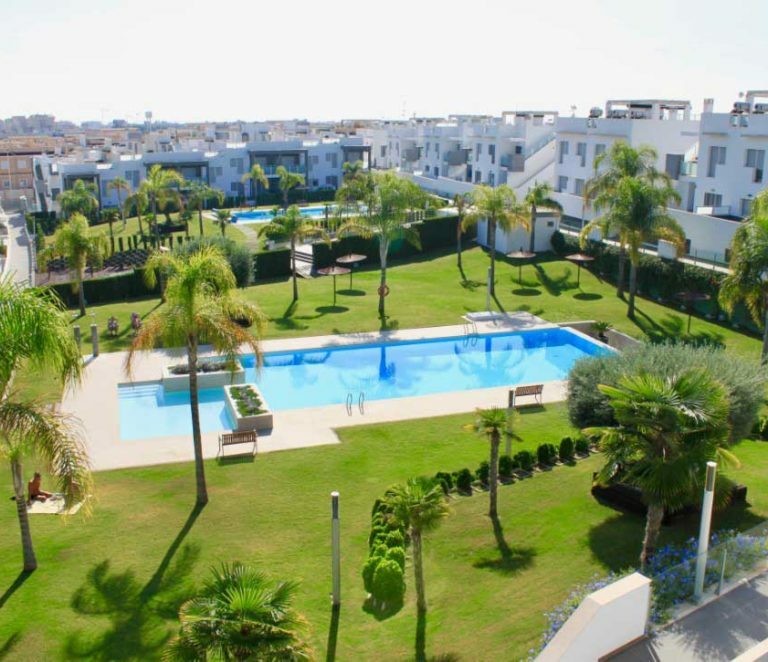 This location is only walking distance to the popular beaches of Punta Prima. You also have all the local amenities such as bars, restaurants and shops close by. If you are looking for a modern property in a super area, this is for you.